To evaluate the available evidence on probiotic use in older adults from human studies. The databases Embase, CINAHL and Medline were searched in December of 2017 for studies in humans where probiotics were used to modify a health outcome in older people. The quality of studies was evaluated using the Critical Appraisal Skills Program (CASP) assessment tool and the Cochrane Risk of Bias Assessment tool. Subjects aged over sixty years either through specified selection criteria or where the mean participant age was greater than sixty. Probiotic supplements. Measurements: Pre-specified clinically measurable health outcomes in age related conditions. 1210 articles were identified. After quality assessment and selection criteria were applied, 33 articles were identified to be included for review. As these studies cover a variety of applications and used customised protocols accordingly, meta-analysis was not possible and synthesis is in narrative form. A growing body of research has applied commercially available probiotic preparations across care settings for age related conditions including gut dysmotility, osteoporosis, common infectious diseases and cognitive impairment. 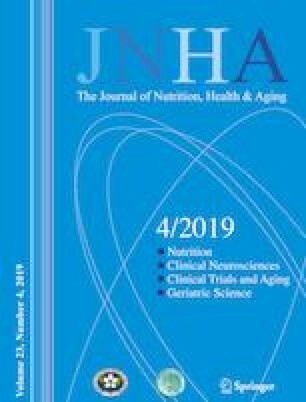 Although methodologies vary, randomised controlled trials have reproduced results in these areas, and so warrant consideration of probiotics as a low risk adjuvant treatment for specific indications in the elderly.